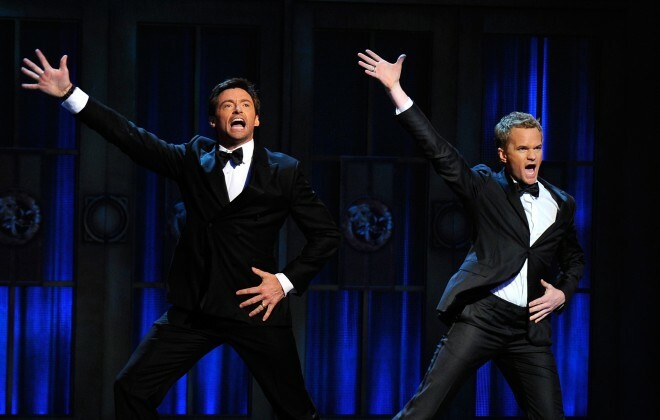 And for the fifth time in six years, the host for this year’s Tony Awards is Neil Patrick H…wait…he’s not hosting? Who is? Someone new?! No? Hugh Jackman again? Okay! Jackman has had immense success since his last stint hosting the Tony ceremonies from 2003 to 2005 with many blockbuster hits including Wolverine, a brilliant Oscar-nominated performance as Jean Valjean in Les Miserables, and even a few appearances on the Great White Way. I personally didn’t get the hype surrounding Jackman as a musical theatre performer (even though he had a Tony Award) until I saw him in his one-man show in Toronto. After two hours of remarkable music, stories, and dancing backed by an 18-piece orchestra, I was sold. There is no doubt that he is one of the best song and dance entertainers on the planet. While I do hope for new blood sometime in the near future, having Hugh Jackman return to Radio City Music Hall to host the 68th Annual Tony Awards should be a great addition to an already remarkable theatre season in New York.